Fall is not just about leaves and pumpkins. This season has inspired me to come up with a list of fall-infused comforting drinks, whether it&apos;s a glass of apple cider, a pumpkin-flavored coffee drink or an adult drink, like a pumpkin-flavored martini or craft beer. Here&apos;s my list of 5 places in Hendricks County to get a taste of fall in a glass! Beasley’s Orchard, 2304 E. Main St., Danville Located in Danville and famous for their apples (some of the best I&apos;ve tasted) and corn maze. Beasley’s offers a variety of delights to more than satisfy apple lovers out there. Fall-inspired drink: Cider Slushie. This icy treat made from Beasley&apos;s apples is addictive and is the perfect treat after picking apples. Kids (and adults) will love this sweet drink. If you&apos;re a bit more traditional, go for a glass of apple cider. Black Swan Brewpub, 2067 E. Hadley Road, Plainfield This independently owned Plainfield restaurant has been serving their popular craft beers and cozy comfort food for three years. I&apos;m a fan of their Reuben sandwich and Black Swan Pub Fries with dipping sauces. Fall-inspired drink: Try one of the brewpub&apos;s new fall beer offerings, which are subject to change, because they sell out quickly. Recent fall beers include the Imperial Blueberry Stout, Belgian Quad, Barrel Aged Imperial Brown and a Pulla Chile Porter. Tip: Check Black Swan Brewpub&apos;s Facebook page for drink specials and other updates. Dawson&apos;s Too Sticks & Stones, 773 E. Main St., Brownsburg This independently owned and operated Brownsburg restaurant has devoted followers (I&apos;m one of them) who love their weekly specials (like their Prime Rib or Fish & Chips). You can&apos;t go wrong with their delicious food, drinks and friendly service. They also have one of my favorite sports bar area&apos;s with plenty of large TVs and seating. Fall-inspired drink: They have a variety of drinks to please pumpkin fans like me, including their Jack O&apos; pumpkin beer, a Pumpkin Martini and a Jack O&apos; Lantern, a pumpkin-flavored specialty drink. Tip: Check Dawson&apos;s Too Sticks & Stones&apos; Facebook page for daily specials and other information. 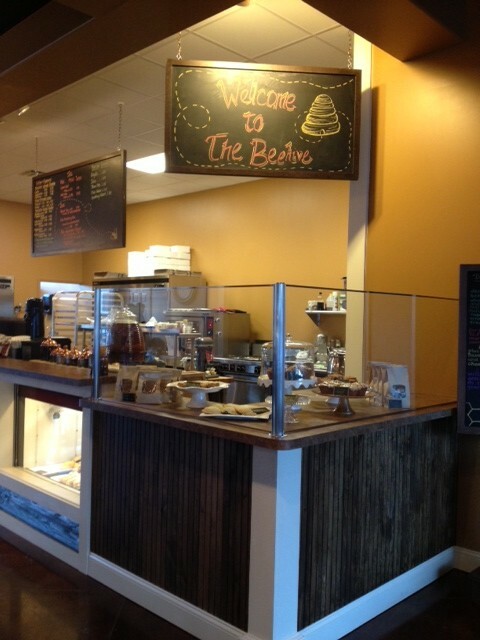 This Danville market and cafe offers fresh and local foods (when available) and has quickly gained a loyal following. Regulars love to stop in for one of their homemade soups (white bean chicken chili and other daily specials), coffee drinks and desserts (apple turnovers) and take a seat by the fire. Fall-inspired drink: White Pumpkin Latte, made with real pumpkin purée and a homemade pumpkin syrup. Their Nutella Latte is another popular choice among regulars. Tip: Check The Beehive&apos;s Facebook page for a list of daily specials (recent specials have included, homemade chicken and noodles, pulled pork with coleslaw and macaroni and cheese). Lizton Dairy Bar, 102 W. Main St., Lizton Remember those days when you were a kid and you waited in line at your hometown ice cream shop while you couldn&apos;t decide on what ice cream treat to order? Lizton Dairy Bar will take you back to those days with their perfect mix of nostalgia and crazy good desserts. Customers travel from far away just to get their sweet fix at this off-the-beaten-path, must stop. 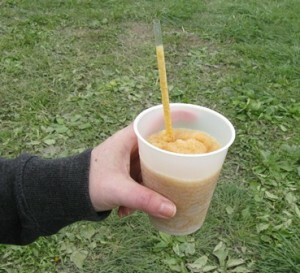 Fall-inspired drink: Not exactly a drink, but their Pumpkin Pie Flurry is the go-to, so I&apos;m including it on this list. This thick ice cream treat has real chunks of pumpkin pie (!) mixed in with ice cream. Not a pumpkin pie fan? (there are some of you out there- right?) You can&apos;t go wrong with their Caramel Apple Sundae. I know that can&apos;t be all of the fall-inspired drinks in Hendricks County. Help this fall-loving girl out and let me know if I’ve missed anything, and I’ll add it to the list. Please leave a comment below or you can like Visit Hendricks County&apos;s Facebook page or follow Visit Hendricks County on Twitter or Pinterest.